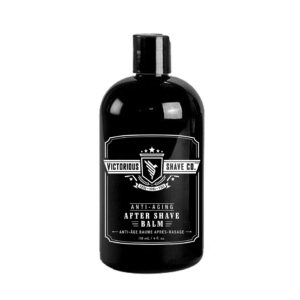 One of the most trusted and widely used shaving cream in Canada is this shave cream from Victorious Shaving collections. Containing Rosemary extract and all the essential oils right mixture, makes it most desirable shaving cream of Toronto. It produces rich amount of shaving foam and is mildly fragranced. You can use this shaving cream on everyday basis and it will not cause any kind of harm to your skin. This shaving cream is formulated by experts and is very economical despite of all the rich and quality ingredients. All our beard care and skin care products for men are made in Canada and are specially designed for all types of men’s skin. Our men’s grooming products are made from the organic oils and minerals and therefore kinder to the skin and the environment. Available in two sizes, it is 100% vegan and will give a smooth texture to your skin. For best results, apply our After Shave tonic after using our shaving cream every time. Also, checkout Victorious Shaving’s Pre Shave Cream here. I love this shaving cream because it gives good razor protection and it doesn’t have any harmful chemicals in it. Victorious Shaving cream smells great, and feels great, too. I am truly impressed with this shaving cream. Best shaving cream I have ever had, easy to use and keeps skin smooth afterward (I have sensitive skin). Would highly recommend. Victorious shaving cream is quite fantastic, usage is minimal, the fragrance is strong. I have sensitive skin and usually don’t like heavy fragrances but it is okay on my face, no reaction. It protects my skin nicely and leaves a super close shave with baby soft skin. Finding good shaving cream has been a challenge for me for a long time. I found a perfect solution for my dry skin type at Victorious Shaving products collections. I really like this shave cream I prefer it because of its natural ingredients, especially rosemary extract.